Have some fun… and do some good! There are a variety of issues for your family to consider before making the commitment to volunteer together. Your family may want to start slowly. Consider a one-time or short-term volunteer activity before making a long-term commitment. Consider doing your volunteer activity with other family groups (PTAs, religious organizations, neighbors or workplace groups). 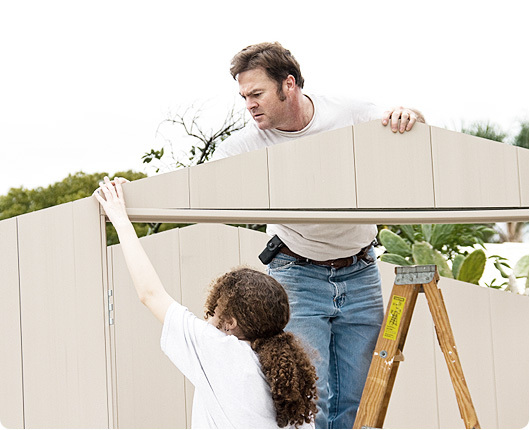 Consider everyone’s busy schedule when volunteering as a family. You may decide to volunteer individually at different times. If volunteering with children, ask about any issues related to their needs or safety concerns. Take responsibility for supervising your children. Their experience and that of anyone working with you will be more positive if everyone is focused on the work to be done. Talk openly about your experiences on the drive home, during meals or whenever your family has time together. Both adults and children will benefit from the opportunity to discuss everyone’s reactions to the volunteer activities. Let your volunteer coordinator know if your family has any special concerns or problems, and discuss how you can work together for a satisfactory solution. Share your positive experiences, too! Keep a journal with photos and stories of your family’s volunteer activities. Share the journal with relatives, co-workers and friends. Have fun! It is not only allowed, but it should be a requirement! Be proud of what your family has accomplished. Your family’s self-esteem will continue to climb as you move on to future projects.